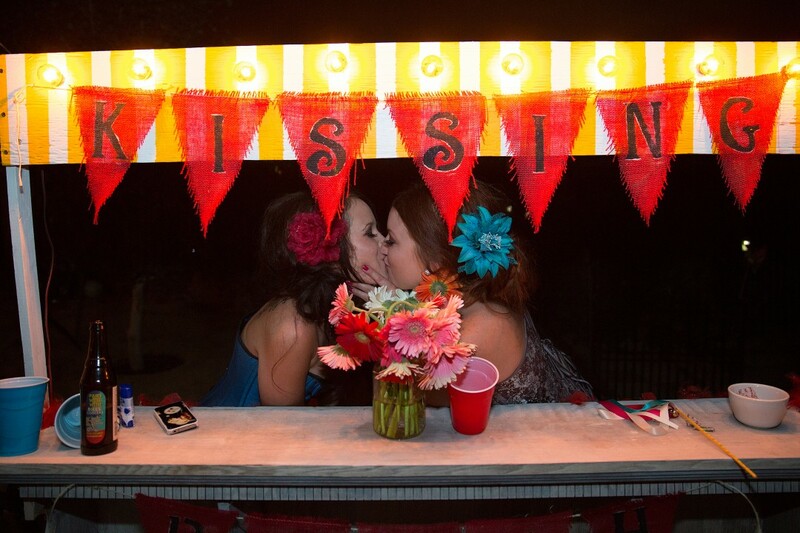 I’ve had the privilege of shooting a few backyard weddings, but none as creative (or as fun!) as Cecilia and Austin’s carnival-themed, steampunk cavalcade. 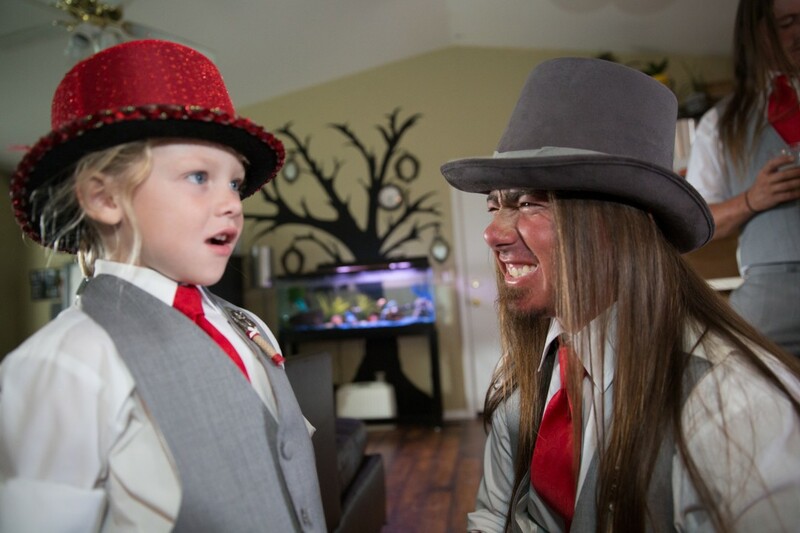 The couple met at Burning Man, bought a house together, had two children, and finally decided it was time to get married. The ceremony and reception unfolded as creatively as their non-traditional order of life events. The most impressive thing about CC and Austin’s wedding was the carnival paradise they created in their backyard. With the help of family and friends, they transformed their home into an artfully-decorated playground. They neglected no detail, hand-painting signs, making tiny cardboard steampunk hats for guess, a kissing booth, and more. Sometimes people think you need to drop an astronomical amount on the perfect venue in order to have the perfect wedding. CC and Austin bust that myth, showing how amazing a DIY wedding can truly be. 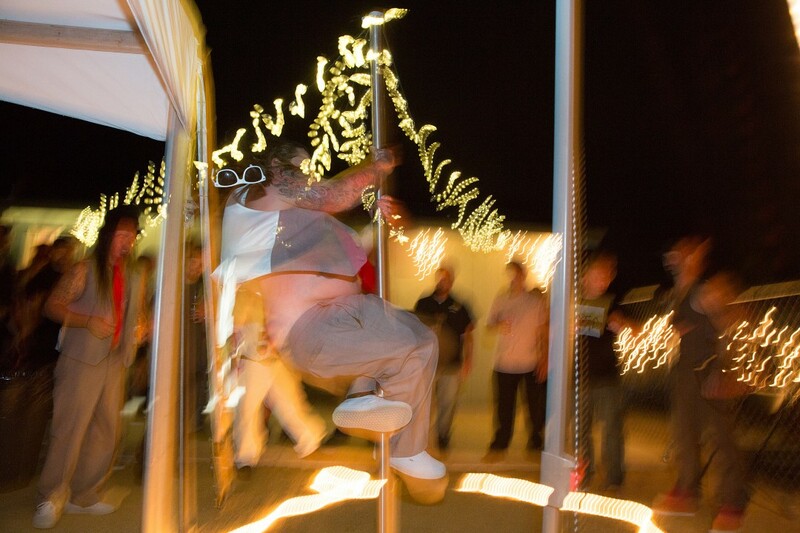 And only in your own backyard can your rowdy friends dance on a stripper pole during the reception! All content copyrighted © 2019 Brad Horn and Brad Horn Photography.